I discovered Double Take Cafe, or DTC, several months ago and have long owed this awesome place a shout out on the blog. It’s a charming little restaurant run by a brother/sister team. 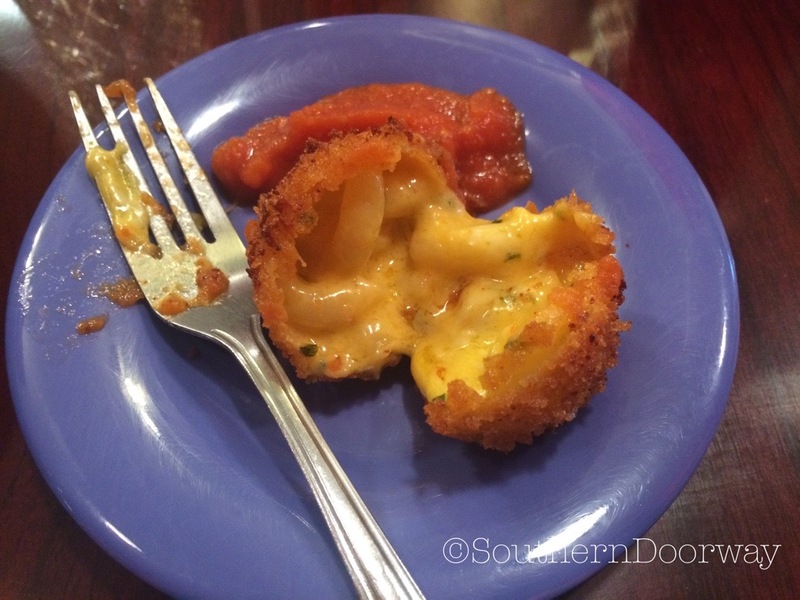 Though they aren’t part of the Marietta Food Tour, the guides mentioned that they serve delicious mac & cheese fritters. Challenge accepted. My mouth is watering just looking at these pictures. While waiting for our food, my husband and I made use of the Trivial Pursuit cards in the center of the table for our usual ill-advised games of one-upmanship and snacked on their tasty table pickles. The friendly owners were kind enough to print out the recipe for me when I asked about how they made them, and they have also posted the recipe on their site. 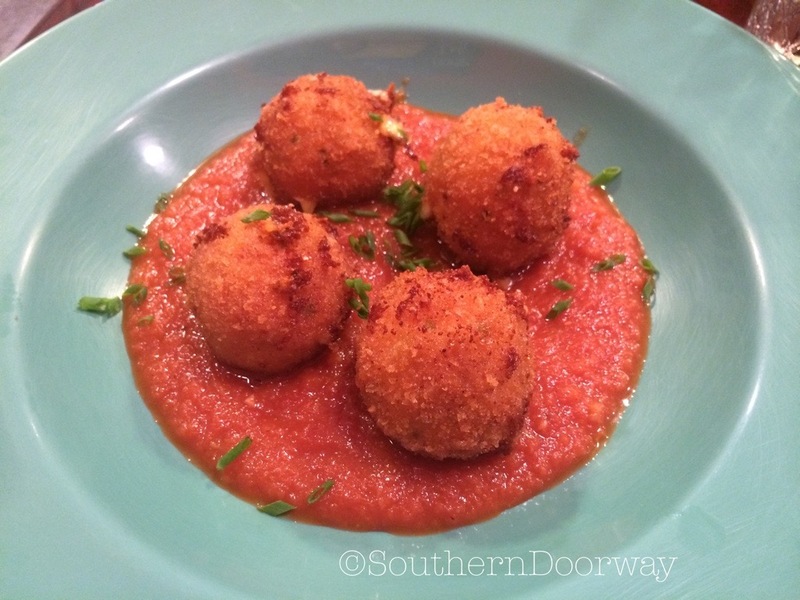 The southern adventure continued with our entrees. This particular meal was during the winter, so the summer menu looks a little different. 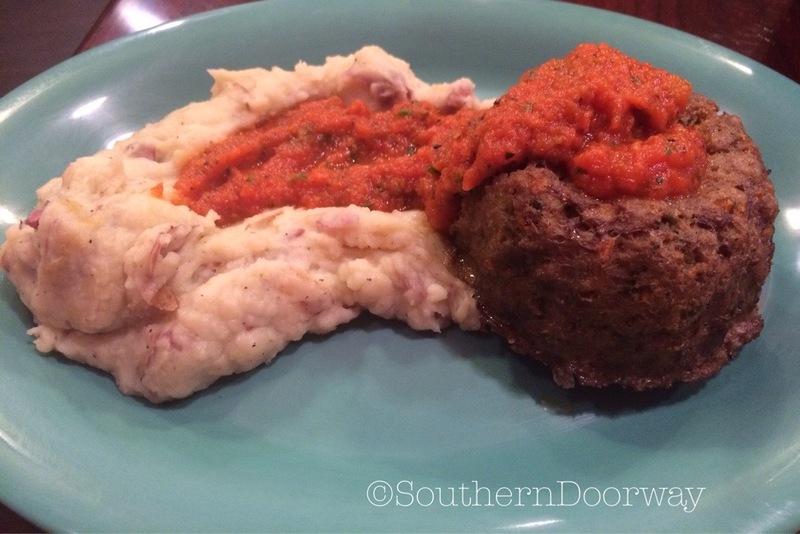 My husband had the meatloaf and mashed potatoes. 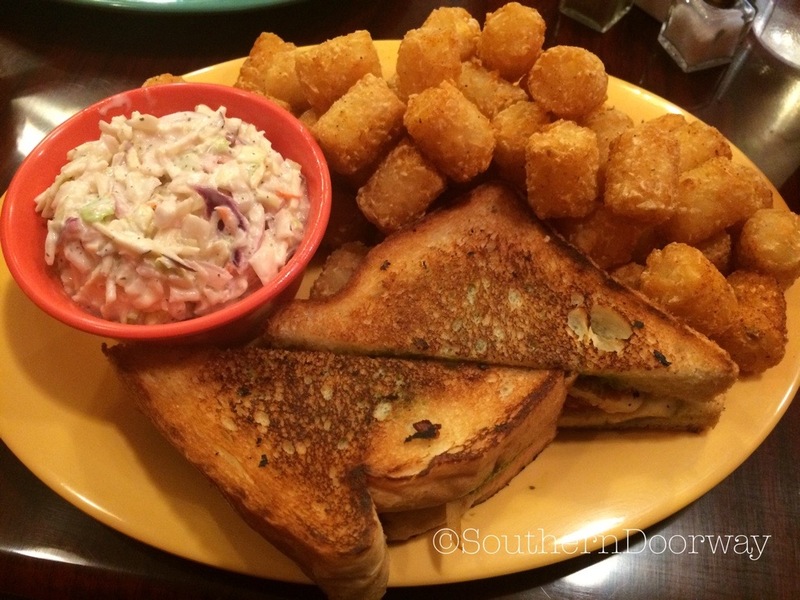 I had the grilled cheese and TATER TOTS. When will tater tots become the American default side dish instead of french fries? Tater tots should be available in ALL restaurants as a side. But that’s a rant for another time. Thank you, DTC. I haven’t been since the summer menu rolled out, but the fritters are still there, so have no fear. The loaded tots with pork entree is calling my name. 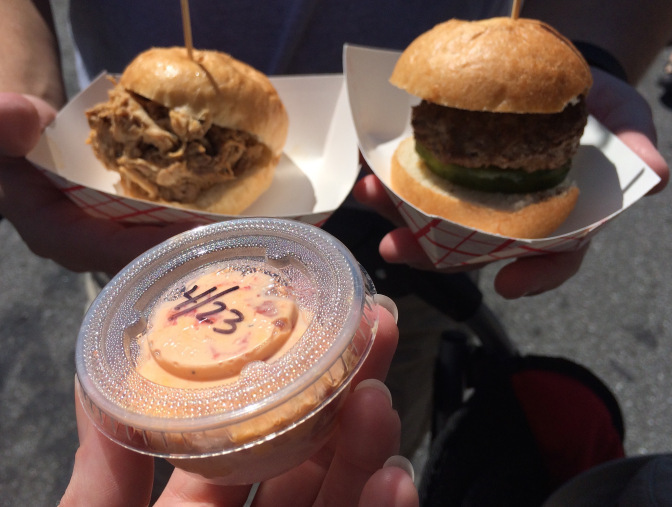 I did beeline for them when I saw their table at the annual Taste of Marietta where we sampled a pork and burger slider and pimento cheese. DTC is just a block off the main square at 34 Powder Springs St. Hours may vary by season.